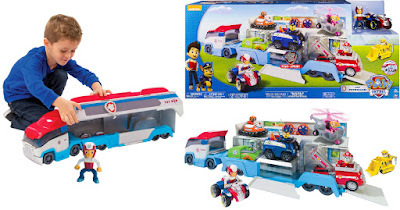 Amazon has the Paw Patroller Toy Set for just $40.79 (regularly $59.99). The Paw Patroller comes with Ryder and his ATV vehicle and can hold 3 Paw Patrol vehicles inside and can display 6 vehicles when open – it even has fun sound effects to make playtime more fun! Recommended for ages 3 and up.